Canadian National @ Charlestown, NH. A north bound freight is making up for lost time as it leaves the Walpole area. 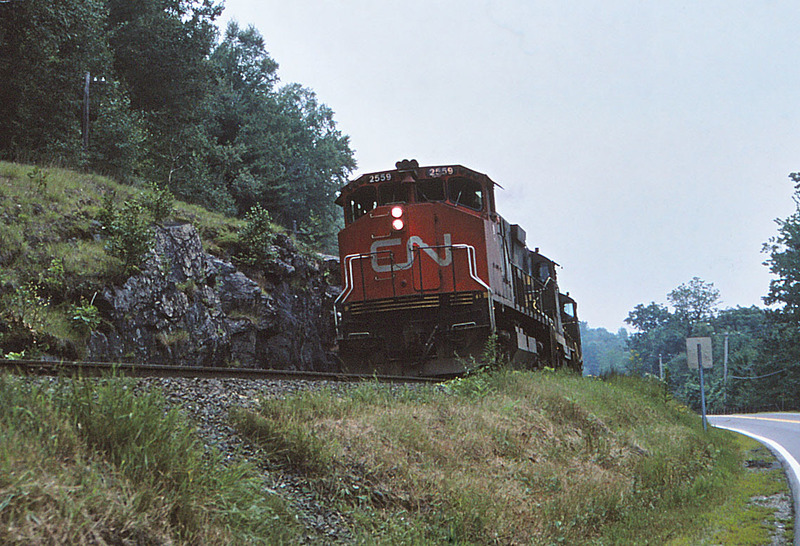 Photographed by Bruce Macdonald, July 20, 1986. Added to the photo archive by Bruce Macdonald, August 3, 2018.